Welcome to another Tasty Tuesday! This week’s Tasty Tuesday is the beloved chain restaurant, Chipotle. If you haven’t been to one, you’re missing out. I came from a small town, so I had never even heard of Chipotle until my freshman year at NC State. Now I find myself getting a chicken bowl almost three times a week. 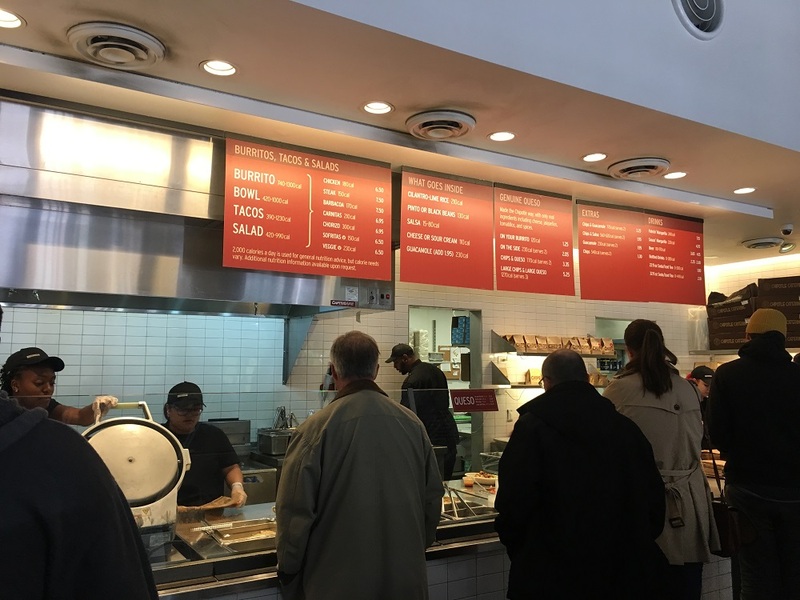 At Chipotle, you can order a burrito, a bowl, a salad, crispy corn tacos, soft flour tacos, or a kids meal as your main entree. Today I ordered a chicken bowl, to go, with black beans, chicken, lettuce, cheese, and sour cream. Typically, these also come with your choice of white or brown rice, but I chose to skip the rice this time. My favorite part about this meal was that I could taste how fresh every ingredient was. Chipotle makes it known they are proud to spend more money on fresh, non-GMO ingredients straight from farms, rather than cheaper ingredients from factories. I believe that choice is noticeable in their food. What would a chicken bowl be without chips and salsa? Chipotle has three different salsas that you can put on your burrito/bowl or just have on the side. You can choose between mild, medium, and hot. My favorite choice is the mild, although it’s basically Pico de Gallo. 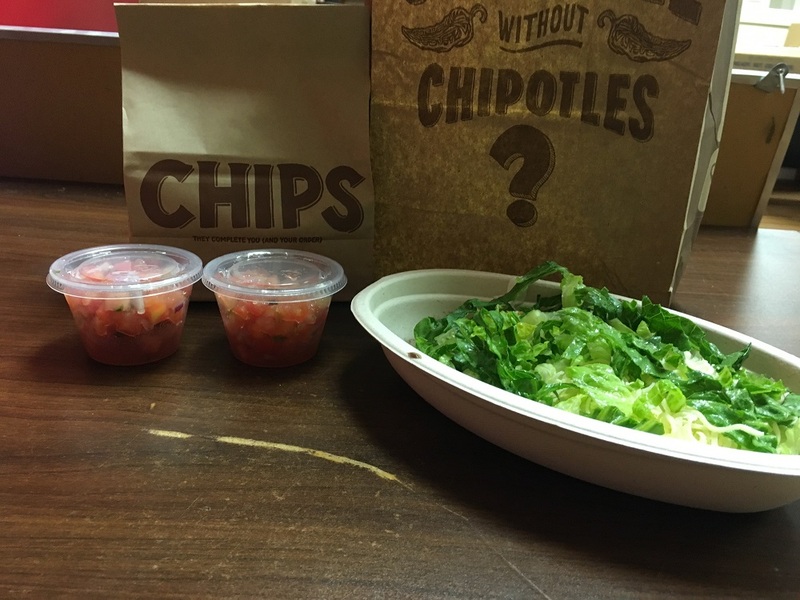 Pico de Gallo is characterized by its freshness but once again, Chipotle goes above and beyond in this department. I never liked Pico until I had theirs. 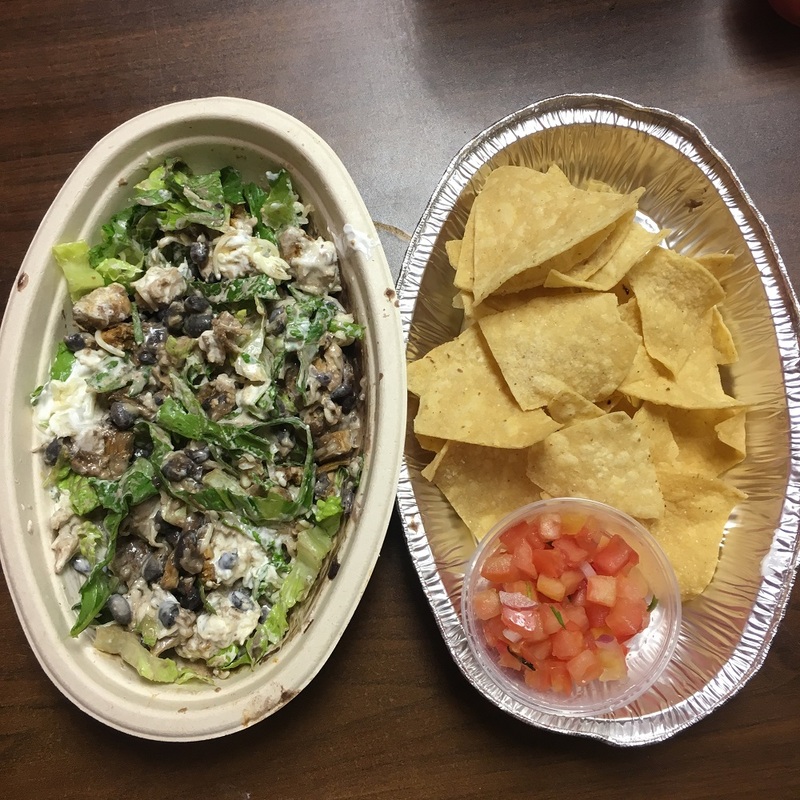 The one downside (or upside, depending on you look at it) is that I typically have to order two sides of Pico (at no extra cost!) because there are always too many chips left at the end of my salsa. Getting chipotle is such an easy decision to make. It is hard to beat the quickness, freshness, and affordability of their food. Their delicious meals will satisfy your hunger and your wallet. Once you’re hooked, you might want to apply for a job (and get discounted food), because they’re hiring! Monday - Sunday: 10:45 A.M. - 10:00 P.M.